This week’s theme was Spots and Stripes. Although the books I used could have very easily have been for a jungle theme. Still, I had a good crowd on both days, and the children seemed to really enjoy it! I love this book! It has bright, colorful, full-page illustrations. It’s written in a rhyme that flows very well for reading out loud. 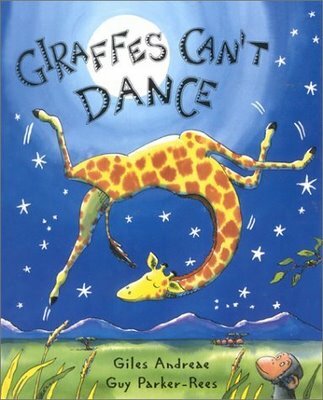 And it has a great message about perseverance and finding your own music to dance to. Before reading this story, I showed the kids the cover and asked who was on it. When they correctly responded with ‘giraffe,’ I then asked them if giraffes had spots or stripes. Nearly everyone got it right! 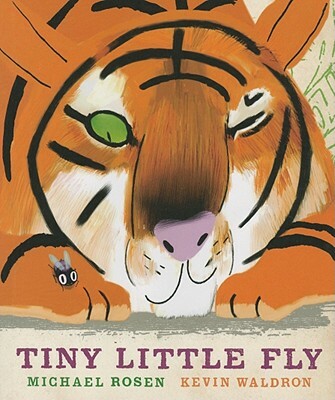 Before starting this one, I asked once again whether the animal on the cover (a tiger in this case) had spots or stripes. And, once again, the kids knew the answer (except for one little boy in my Wednesday session who said ‘spots’ belligerently.) 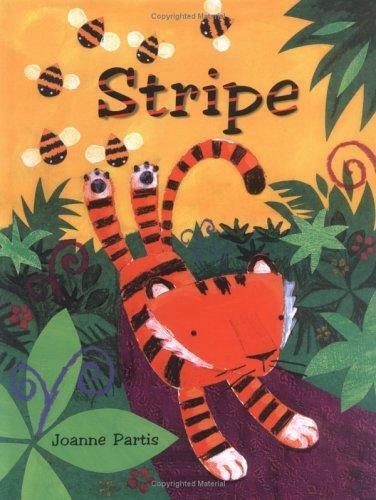 This is a story about a young tiger cub who goes into the jungle and gets chased by bees (another striped animal! ), crocodiles and ends up in a whale’s mouth before returning home. I read this story for my colors theme (which I didn’t post on here, but I plan to eventually). However, I had low attendance that week (it was right after Christmas), so this was new for most of the kids. 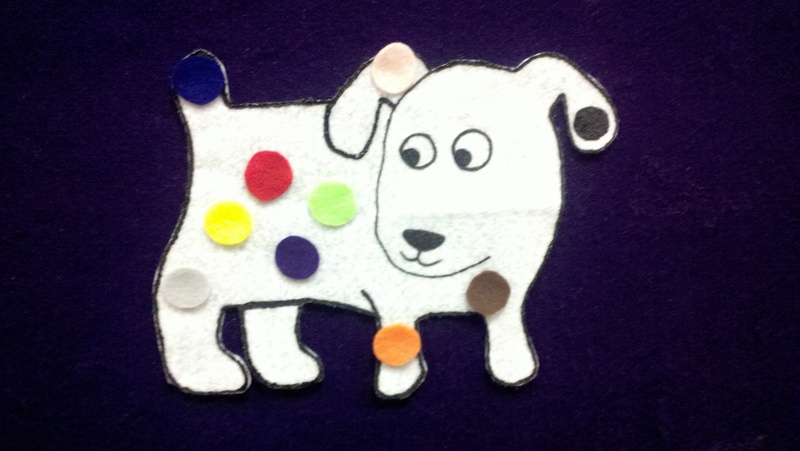 When we finished the story/flannelboard, I asked the kids what dogs do after baths, and most said that they shake themselves. So I then took Dog off of the flannelboard and shook him over the kids, and his spots rained down on them. The kids loved it! 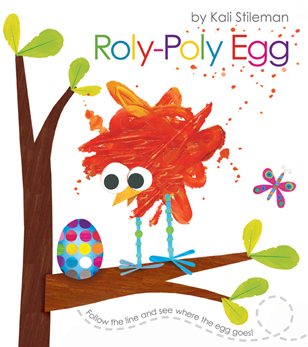 This book has a spotted egg (that eventually hatches into a spotted baby bird), a spotty giraffe, and striped zebras! The kids also really enjoyed the lift the flap egg cracking at the end. Another striped tiger! She thought that she was going to get that fly, but neither she, nor the hippo, nor the elephant managed it. That fly was rather crafty. 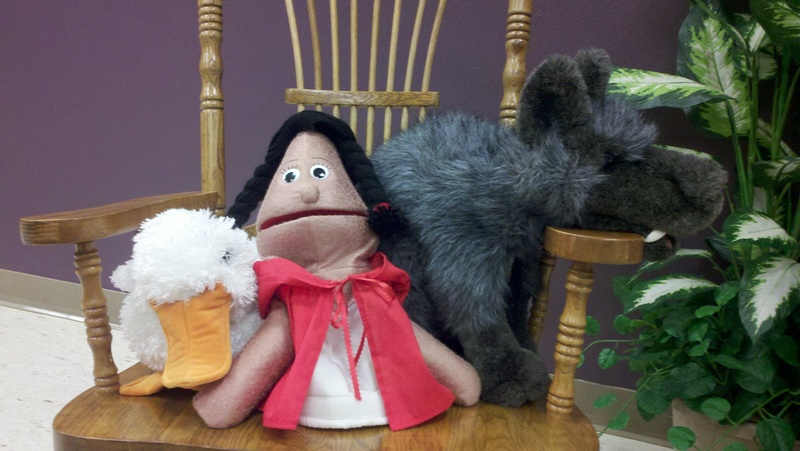 Initially, I was afraid that our wolf puppet would be too scary for the younger kids (it kind of resembles that wolf puppet that was used in The Neverending Story…you know…the one that’s responsible for most of my childhood nightmares), but the kids were pretty good with it. I guess it helps that the wolf in the puppet show is kind of goofy and would rather eat pizza than Little Red Riding Hood. I also had a storytime mom tell me that the puppet show was her favorite part of storytime. I knew the kids loved the puppets, but I’m glad to hear that the mothers enjoy the shows too.